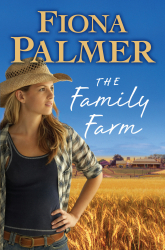 The Family Farm’s blurb shows promise, but a slow plot and lacklustre romance make for a rather dull read. I really, really wanted to like this book. I’m always on the lookout for good outback romances and at first glance The Family Farm fits the bill. Isabelle Simpson returns to the family farm, eager to help her parents and show her father that she’s more than capable of managing the farm. But her father is convinced that farm life is too harsh for his remaining daughter, and this causes some conflict between then. When her father is hospitalised indefinitely, Isabelle surreptitiously takes over managing the farm. Her father thinks their neighbour, Will Timmins, is in charge. For years Isabelle has blamed Will for her sister’s death, but gradually she learns the truth behind her sister’s tragedy and she discovers that Will has changed from the skirt-chasing prankster she knew as a child.When Isabelle’s father returns home, she’s eager to impress him with what she’s achieved in his absence, but he’s unmoved and refuses to let Isabelle take on responsibility for the farm. Despite her blossoming relationship with Will, Isabelle leaves and tries to forge her own way. Eventually, she realises that her family needs her, and she returns to find some common ground with her father and to reunite with Will. 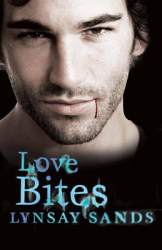 I’m not sure what to say about this book, except that I was just so bored by the story and the characters. I think it’s partly Fiona Palmer’s writing style, which is a little more traditional than I prefer. If you like authors such as Anna Jacobs, this novel may certainly work for you; unfortunately, I don’t. There’s something to Palmer’s story that could have turned out to be a great book, but I felt that lots of elements—character, plot, setting, dialogue—just didn’t come together tightly enough. There’s a lot of faff that don’t really go anywhere. I was also disappointed by the romance. Isabelle basically leaves the farm altogether after she sleeps with Will, and she doesn’t even call him to let him know why she left. To me this doesn’t exactly demonstrate a loving relationship. And finally, the description of outback life left me underwhelmed. It lacks the vividness and romance that, for example, I loved about Fleur McDonald’s Red Dust, and there are a lot of cultural references that I just couldn’t relate to. 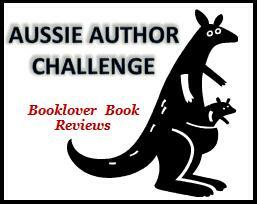 This is worth a try if you like outback stories and more traditional romances in the style of Anna Jacobs. 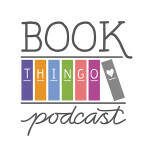 Otherwise, the plot is slow, the characters aren’t easy to relate to, and the romance, from a romance reader’s point of view, is pretty lacklustre. A review copy of this book was generously provided by the author. This book was published in C format in 2009. It was released in B format in March 2010 (ISBN: 9780143203117). 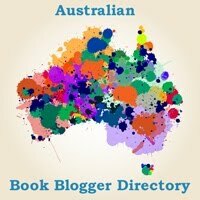 Tagged 2009 releases, 2010 releases, australian authors, australian characters, australian romance, fiona palmer, rural romance. I agree with everything except the part about the outback…. Pingaring is not the outback at all. There’s a huge difference between the outback and the general rural area which is where this book is set. The outback is when towns are hours between each other. Most town out that way are only 20 minutes away – a lot to the city people but normal distance for rural areas. However, apart from that, I do agree with your review. I was… bored. I didn’t care for the characters but I think is because I find these country books corny. I cringe at some of the writing. Hi, R. Great point about outback vs rural romance. This was one of my earliest reviews of rural romance, so I didn’t have that distinction clear in my head yet, so yes, I definitely got my terms all mixed up!